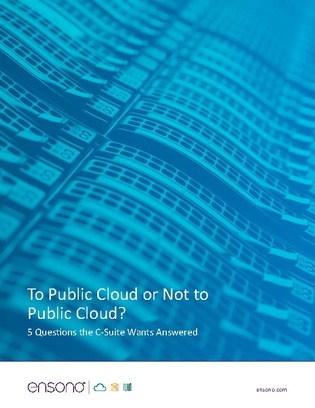 To Public Cloud or Not to Public Cloud? Businesses are already experiencing the tangible benefits of migrating to the public cloud, but for every migration success story you see, there are countless cases of businesses taking the wrong step on their path to the cloud, resulting in failed migrations. Are we going to save money? What apps or environments should we start with? How do we keep track of our resources? Find out the last 2 by clicking inside.